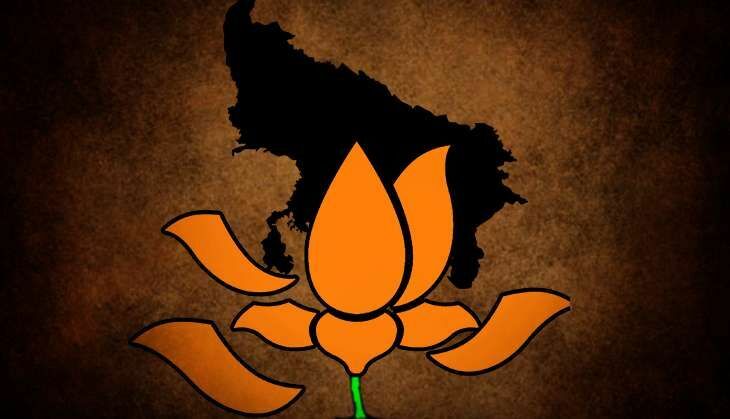 Even a a fortnight ago, things were not as thorny for BJP in UP politics. The party appeared to be tightening its grip over three of the four vote bank segments in the state considered crucial for victory in the assembly polls. It looked as if the BJP was a frontrunner in a political landscape defined by the Thakurs, Brahmins, Dalits and backward classes' vote banks. It boasted of a tall and reliable Thakur leader in the form of Rajnath Singh. The party had given a glimpse of its future strategy by making him the chief of the screening committee. BJP did not need to worry much about the Brahmin votes as they were the party's traditional supporters. BJP has an array of Brahmin leaders among its ranks from Kalraj Mishra in the State to Jaitley and Sushma Swaraj at the Centre. Likewise, the party leadership pursued an aggressive policy to garner the support of Dalits. Although Samajwadi Party claims ownership of Yadav votes, the largest community among backward segments, BJP had, nonetheless, sent a signal to the other backward castes by elevating Keshav Prasad Maurya to the post of the state president. Furthermore, it hopes to win the support of the Kurmis by inducting Apna Dal MP Anupriya Patel into the Union Cabinet. The remaining Dalit community was not ignored either. From organising the Suhaldev Yatra to celebrating Ravidas Jayanti and Ambedkar's birth anniversary with pomp, BJP had spared no effort to win the support of Dalits. RSS had also come out with all guns blazing to help in this cause. The inclusion of six Dalit and Adivasi ministers in Modi government was also a step in this direction. However, a fortnight can sometimes be a very long period in politics. Some of the recent developments have taken the air out of BJP's confidence to implement its social engineering formula. The trouble for BJP started on 15 July when the Congress declared Sheila Dikshit as its chief ministerial candidate in the state. It posed a serious challenge to BJP's hold over the influential Brahmin vote bank. Although, age is not on former Delhi chief minister's side. However, political observers believe the Congress has taken a lead among Brahmins with this declaration. It is after a long time that the party has chosen a Brahmin as its CM candidate in UP. BJP hardly has any Brahmin leader shining on the political horizon of UP. In the words of a BJP leader, "Brahmins have emerged as a coherent vote bank during the past 25 years like Muslims. This vote bank tends to go with the party that benefits it the most. The Congress has managed to make inroads into a large section of Brahmin voters who were BJP supporters. Now, BJP faces the challenge to project a Brahmin face to counter Sheila Dikshit. We might see other parties entering into a race in this respect." Even the BSP, traditionally a Dalit and backward class party, is better positioned than the BJP in terms of the Brahmin vote bank. It has Satish Mishra in its ranks, who is known to have helped the community benefit immensely under Mayawati's rule. It is the 'Sarvajan Formula' of BSP. The Brahmins constitute around 12%of the total population of UP. The overtures of Congress and BSP has only deepened the confusion within this sizeable population. This is certainly not an ideal situation for BJP. "BJP might focus on Thakurs, the second most important upper caste group, in the wake of losing Brahmin support. There is a possibility that the party might project a Thakur leader as its CM-designate," surmises a member of the BJP state unit. However, the recent controversy surrounding Dayashankar Singh has complicated things for BJP even in terms of winning the support of Thakurs. It has suffered a double injury from a single arrow. Singh's remarks against Mayawati dominated Parliament's proceedings for an entire day while painting the roads of Lucknow blue. Mayawati was back on the centre stage from political bewilderment. Almost all non-BJP parties rallied behind Mayawati in this episode. The issue of Dalit pride was rekindled as sympathy from all political quarters poured in for the BSP supremo. The same BSP that could not open its account in the general elections, has now managed to galvanise the support of its core supporters. The angry Mayawati supporters responded in kind to Dayashankar's vitriol. A red-faced BJP did not lose time in expelling Dayashankar Singh. But, the move seems to have backfired as Thakurs are now angry with BJP shunning Singh. By the time BJP leaders woke up to the possibility of promoting Singh's wife, the damage had already been done. The Thakur community forms around 7.5% of UP's total population. But, Thakurs are second only to Brahmins in terms of resources and political influence. The state has seen powerful Thakur chief ministers like VP Singh and Veer Bahadur Singh. The current Union Home Minister and former Chief Minister Rajnath Singh is also a Thakur leader from the state. Rajnath is presently considered as the most powerful leader of the community. But, even his influence may not suffice to contain the damage done by Dayashankar's expulsion. In contrast, the ruling Samajwadi Party has managed to maintain good relations with Thakur leaders and voters. There was a time when Amar Singh and Raja Bhaiya were among the most powerful leaders in the party. The same leaders have been re-incorporated into the party. There is a possibility that Dayashankar Singh might also join the ruling party. A seasoned politician like Mulayam Singh is not likely to lose this opportunity. There are Dalits on the other end, who are seething with anger over Dayashankar's statement. Mayawati has been successful in turning her personal insult into an issue of Dalit pride. This has dented the efforts of BJP and RSS to win Dalit votes. The Dalits are the largest caste group in UP with 22% of the total population. Clearly, it is always in a position to dictate the terms of the government with the support of just one major vote bank. It could be the Muslims or the Brahmins. BJP's predicament in UP can also be understood in terms of the BJP and the non-BJP vote bank. The Chamars (8.5%), Yadavs (15%) and Muslims (19%) are known to vote for non-BJP parties. This constitutes to about 42% of the total population. Therefore, all hopes of BJP are pinned on the remaining 58% population. It includes Thakurs, Brahmins, non-Yadav OBCs and non-Chamar Dalits. However, other parties are equally vying for these votes. The Samajwadi Party is ready with its plan-B to woo Thakurs while BSP has alternative ideas to bring Brahmins to its fold. BJP needs to repair the damage to its Thakur and Brahmins mass base if it has to realise the dream of forming the next government in UP. For now, the party can only be reassured about the OBCs, barring the Yadavs. But, these castes have always been on the fringe of state politics. BJP's prospects are clearly not as strong as they appeared on paper. The party had proved all these calculations wrong in 2014 when even Yadavs and Chamars shunned their caste identity to vote for the BJP. However, as a Samajwadi leader puts it, "Kath ki handi baar baar nahin chadhti (A wooden kettle cannot be reused)." The waning Modi-wave might not be enough to ride BJP home this time. Also Read: BJP survey finds Varun Gandhi most popular CM face in UP. Will Modi-Shah agree? READ NEXT >> Why does the Malay version of Kabali have a different ending?